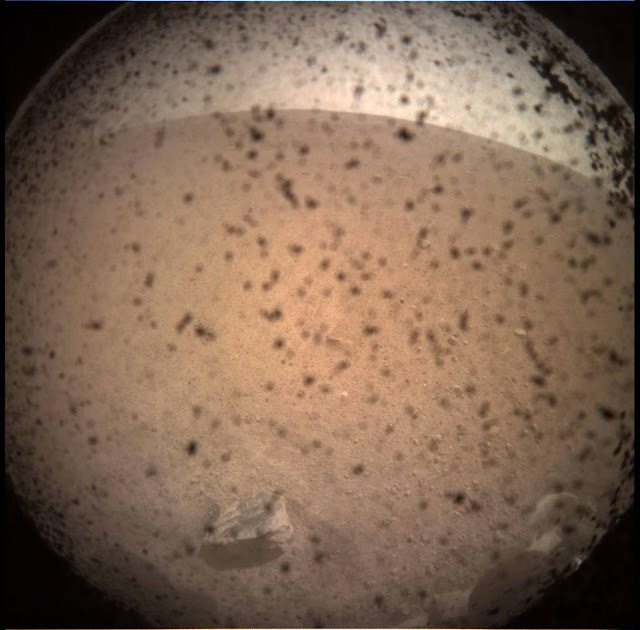 Nasa's INSIGHT lander finally reached the surface of Mars after a 205 days journey. This mission is for mapping the underworld of Martian Surface. Extremely excited group of scientists clustered together at the Jet Propulsion Laboratory in Pasadena, California knowing that the lander finally touched down. The lander will begin to study the underworld of the red planet, also it will find many other clues about this red planet and will listen to the Marsquakes. This robotic lander is designed to study the deep or the underground areas of the planet Mars. It was manufactured by LOCKHEED MARTIN and is managed by Nasa's Jet Propulsion Laboratory. The mission was launched on 5 May 2018 and successfully landed on the martian surface November 26, 2018. InSight almost traveled 483 million km to reach the martian surface. Many of you may or may not know that InSight is the first mission of Nasa to explore the deep interior of the Red Planet. 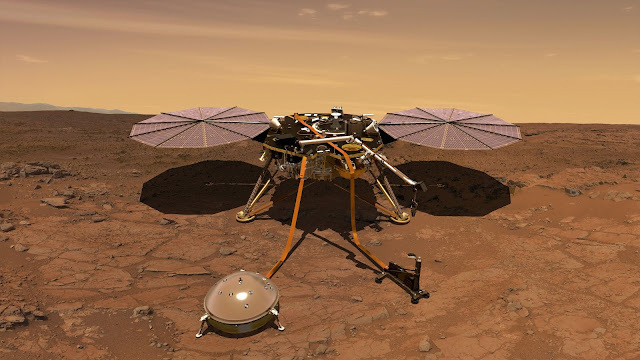 The InSight lander will first place a seismometer on the surface of Mars to measure seismic activities and will provide 3D model of the martian interior, this will help the scientists to understand many hidden secrets of mars that is yet to find. It will also measure the internal Heat Flow using HP3 which is a special type of Heat Probe. You can clearly see the dust on the dust cover that is protecting the camera. InSight basically a two-year mission that will study the deep interior of Mars to learn how all celestial bodies with rocky surfaces, including Earth and the Moon, formed. And the first image has already been sent by this lander after it's successful landing.